The Ys franchise is one that is quite dear to many old school gamers, especially to those who followed Japanese PC game development. The franchise started on NEC’s PC-8801 back in 1987 and other than Ys V: Lost Kefin, Kingdom of Sand, Ys Strategy, and Ys: Memories of Celceta (except in China), every release has had a PC release of some kind. In fact, Nihon Falcom primarily develops PC titles. This has led to some considering them one of Japan’s best-kept secrets during the 90’s where consoles ruled the home gaming market for Japanese titles. This also meant that the Ys franchise was relatively unknown in the West for some time. While Ys I: Ancient Ys Vanished, Ys I & II, and Ys: III Wanderers from Ys were released in the West, the franchise went dormant until 2005 when Konami published Ys VI: Ark of Napishtim for the PlayStation 2. After this Ys went dormant again until 2008 when Ys Book I & Ys II was released on the Virtual Console. Then in 2009 Atlus published Legacy of Ys: Books I & II for the DS. Finally in 2010 XSEED Games released Ys Seven for the PSP and the franchise remained in their care until earlier this year. 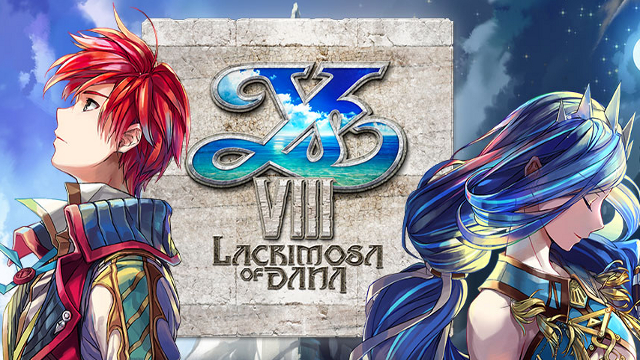 At the start of 2016, NIS America announced they would be publishing Ys VIII: Lacrimosa of DANA for the Vita and PlayStation 4 in both the US and Europe. Previously they had published Ys: Memories of Celceta in Europe in 2014. Fan reaction was mixed to the decision. Thankfully, I was able to play a demo of Ys VIII at E3 to get a feel for the game which you can read about here. NIS America wasn’t done yet though and had one more surprise in store. Just before Anime Expo, NIS America brought Toshiro Kondo, the president of Nihon Falcom here to the US. While I was unable to make the trip up to San Francisco, NIS America was nice enough arrange an e-mail interview with Kondo-san about Ys VIII, the fan reaction to NIS America’s announcement, and why they have one of the best sound teams in the business. Operation Rainfall: For our readers who may not be as familiar with Nihon Falcom, could you tell us a bit about the company and your role in it? Toshiro Kondo: Nihon Falcom is a developer who has been around nearly 40 years and is somewhat akin to a shop or craftsman that has been in business for a long time. Originally, we primarily developed JRPGs—like the Ys series— for PC. As for myself, I am the president of the company, but I also still work directly in charge of game development. OR: Similarly, there may be people who are not familiar with the Ys franchise as a whole. What makes the franchise successful and how important is it that you’re bringing Ys VIII: Lacrimosa of DANA to the West with the help of NIS America? “The Ys series has existed for a long time, but it is important that we continue trying new things. OR: Is Ys VIII: Lacrimosa of DANA the kind of game that people need extensive knowledge of the older entries to understand what’s happening, or is this a title that anyone can enjoy? Toshiro Kondo: Yes[.] [E]ven though Adol is the main character, each game finds him in a different place with a brand new adventure. He goes to new places, meets new people, and discovers the mysteries that lie in the location. No matter which title you start from, you will be able to enjoy yourself without having played the previous games. OR: Conversely, what new things will veterans of the Ys franchise find in Ys VIII: Lacrimosa of DANA? TK: Each time, the location of the adventure is different, but one constant is Adol’s partner Dogi. Dogi wasn’t really present in Memories of Celceta, but he is here with Adol from the very beginning of the adventure. Dogi was a party member in Ys Seven, but this time, his main role is to protect the village that appears in the game. OR: Who are some of the new characters in Ys VIII: Lacrimosa of DANA and what role will they serve in the story? TK: The game begins with Adol working on a passenger liner that is sunk. The passengers find themselves washed up on a deserted island and the story proceeds with Adol going out to rescue his fellow passengers. Your party members are also people who were your fellow passengers. Since they don’t really know each other at the beginning of the adventure, they don’t really get along. But, since they are stranded together, they must come together. The people in the party all have various personality quirks. So, I hope players enjoy watching how they all come together to solve the problems they face. As for the titular Dana, when Adol finds himself on this island, he begins to have mysterious dreams of a young girl in a time and place he doesn’t know. As Adol continues to explore the island, the dreams that he is seeing about Dana in begin to link up to what he is facing. 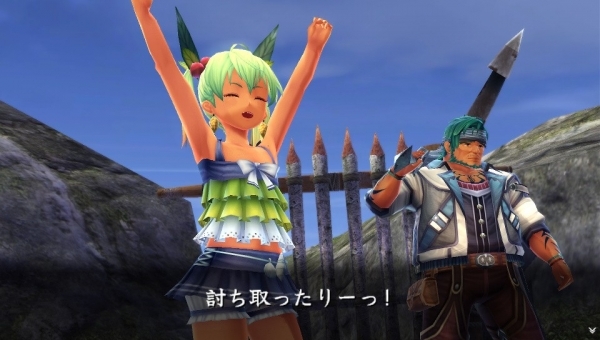 This dual main character system is brand new to the Ys series, so I hope that players are looking forward to it. OR: Regarding the development of Ys VIII: Lacrimosa of DANA, was the game designed to explore fresh territory for the franchise or was it more about refining what has come before? TK: We actually attempted to do both. The Ys series has existed for a long time, but it is important that we continue trying new things. For example, when we work on the Trails games, the story is the main focus and we write the story first then think about the game systems. With Ys, on the other hand, we want to make it fun from a gameplay perspective first and foremost. So, even as we continue to add new elements, we are also sure to retain the core of what makes “Ys”, Ys. OR: Nihon Falcom is often cited as having one of the best sound teams when it comes to video game music. Why do you think that is? TK: When the company was first founded around the time of the first Ys and even before, game music wasn’t really anything special. The Falcom staff at the time felt that games as a genre should be improved upon as their own culture just like movies or anime. So, from the very beginning, it was a conscious decision to put a lot of care into the music. 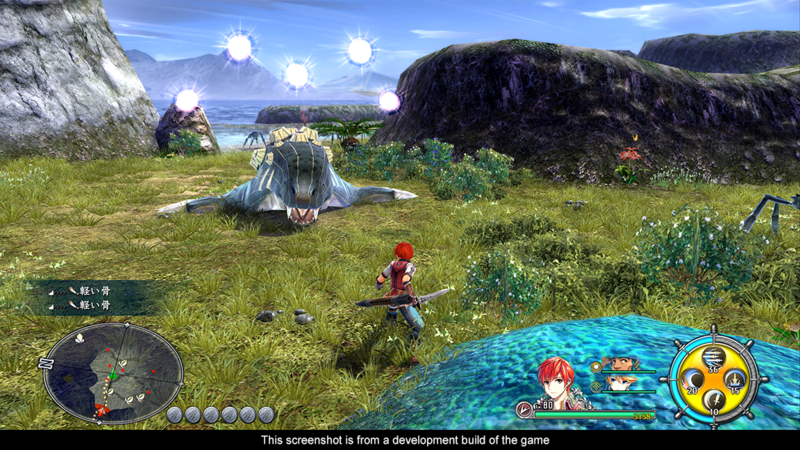 Within that overall idea, the music for Ys is given special attention. From very early, we worked with King Records to have the Falcom music label and started to publish CDs; we were the first game company to do this. All of this contributes directly to how the sound team approaches the music for Ys. “We never thought that people outside of Japan would play [JRPGs] aside from the rare few who really enjoyed that kind of content. We never imagined it would grow to the scale that it has. OR: This is the first time that you’ve come to the West to promote a title. Why did you choose Ys VIII: Lacrimosa of DANA as the title to make your debut with the Western Press? TK: This is because we received a very enthusiastic proposal from NIS America. (laughs) There were several things we had never seen before in their proposal and one of those was for me to come to America to promote the game myself. I felt that I had to rise to the occasion and that’s what lead to me sitting here today. OR: Many people were surprised when NIS America announced it would localize Ys VIII: Lacrimosa of DANA in the west. Why do you think that is and have you learned anything about the Western fanbase from this experience? TK: People in Japan don’t really follow news in the West, so there wasn’t really any surprise on that front. Rather, the bigger reaction was that the game would also be released on Steam. Recently, we had been putting older titles on Steam, but this time, the Steam version would come out much quicker than before and the reaction in Japan to that was large. In regards, to the American reaction, it certainly makes sense since Marvelous had published it for so long and I did expect this reaction to a degree. OR: After the NIS America’s announcement, there was a portion of the fanbase that was concerned about the localization. What kind of quality assurance checks are Nihon Falcom doing and how involved is the company in the localization process? TK: Basically, we leave it up to the publisher to ensure that continuity and terminology are accurate. Also, we don’t know what users in America are looking for in a localization, so that is something else that also needs to be left up to the publisher. That said, we do review whatever gets produced. OR: Nihon Falcom has developed many different titles which all have fans in the west. In addition to Ys, The Legend of Heroes and Xanadu franchises are well-loved here. Do you have anything you’d like to say in closing to fans of Nihon Falcom not just here, but around the world? TK: Up until very recently, our games were, in both good and bad senses, JRPGs. We never thought that people outside of Japan would play them aside from the rare few who really enjoyed that kind of content. We never imagined it would grow to the scale that it has. We are really grateful to all of our fans in the West. It’s a very large motivation to the staff to know that fans over here are waiting for our games. And that has naturally lead to us thinking about fans abroad when we are developing games. However, we can’t dwell too deeply on that because we don’t want to get too far out of our element and want to make the JRPGs and RPGs that only we can make. I don’t think we should overextend ourselves, but rather focus on the things that we do best. That has worked well in the past and people have gotten our games. Going forward, we will continue to do our best. What did you take away from this interview dear reader? Did it give you some insight into Nihon Falcom and Kondo-san’s thinking? Has this interview helped answer any questions you may have about Ys VIII: Lacrimosa of DANA or did you learn anything new in regards to Ys? Let us know in the comments below, on Facebook, and of course on Twitter. I’d like to thank Kondo-san for taking the time to answer our questions. If you’d like to know more about Nihon Falcom check out their website, Facebook, YouTube, and Twitter. I’d also like to thank Robbie and Alan from NIS America for arranging this interview and for translating everything. You can follow NIS America on their website, Facebook, YouTube, and Twitter. 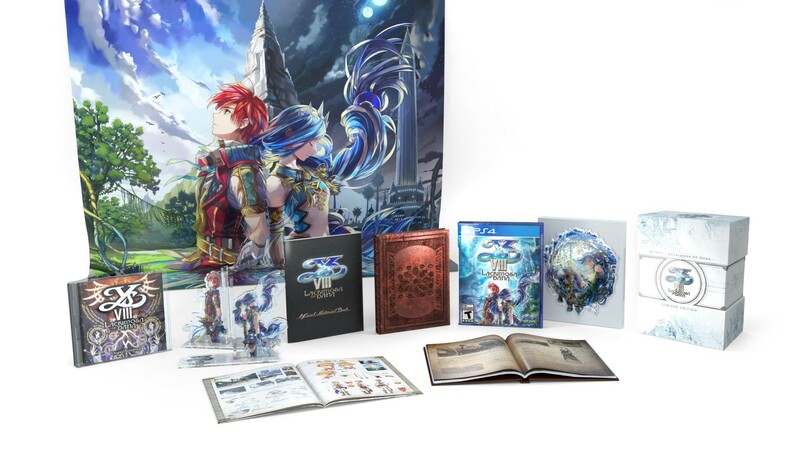 If you’d like to purchase a Limited Edition of Ys VIII: Lacrimosa of DANA you can do so at NIS America’s online shop. Finally, I’d like to extend a special thank you to our own Quentin H. for assisting with the formatting and quotations used in this interview. Thank you for reading and I’ll see you next time! Next Post:In-Depth: Princess Evangile W Happiness is out!